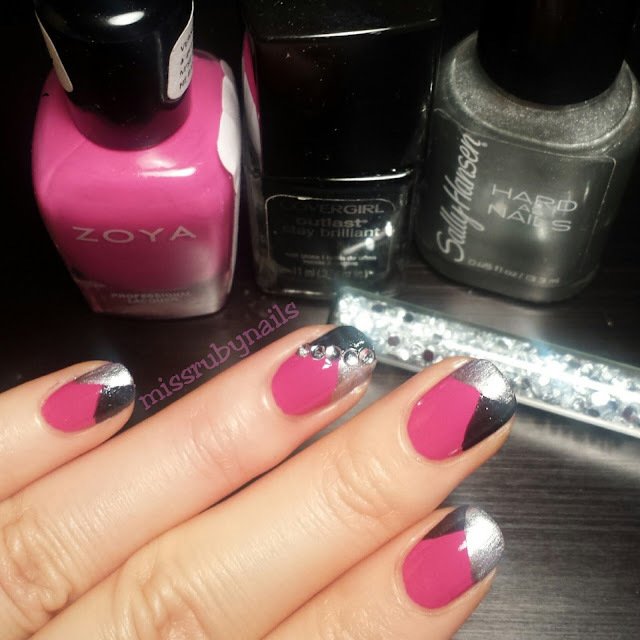 This geometric color blocking with pink/black/silver somewhat reminded me of the 80's and the colorful fitness attire! 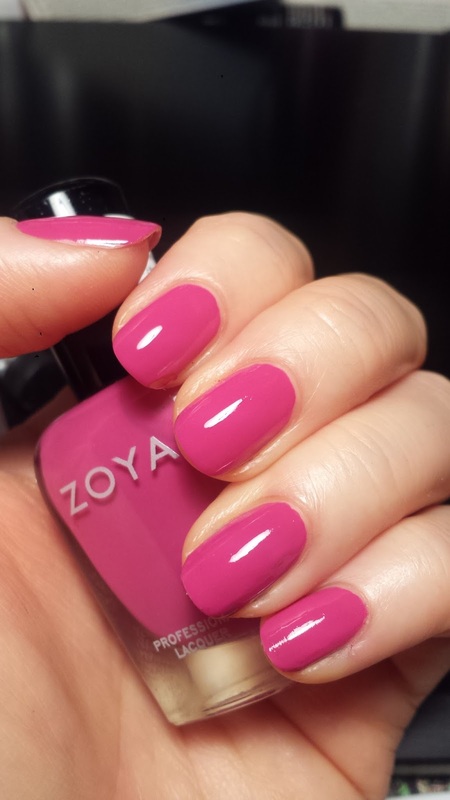 The base color was this beautiful fuchsia by Zoya. 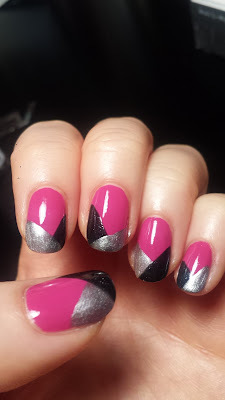 I then used a black and a silver polish to make stripes diagonally at the tip of the nail for the bottom "triangles". 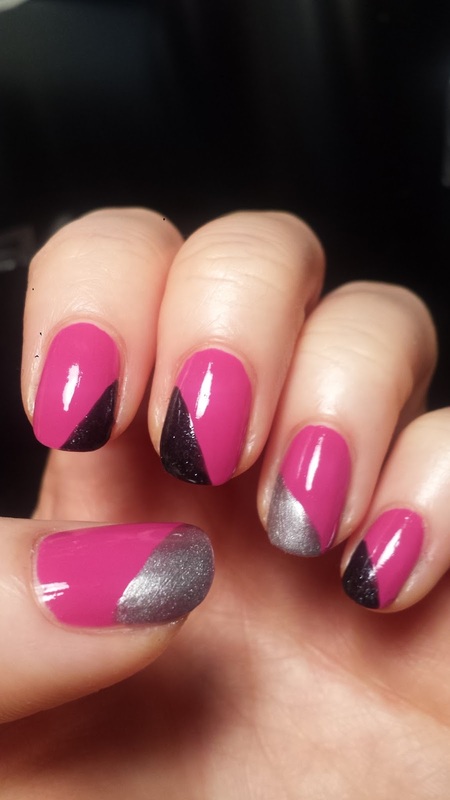 Once the bottom layer had dried, I went ahead using the silver and black again overlapping the stripes in a different size. 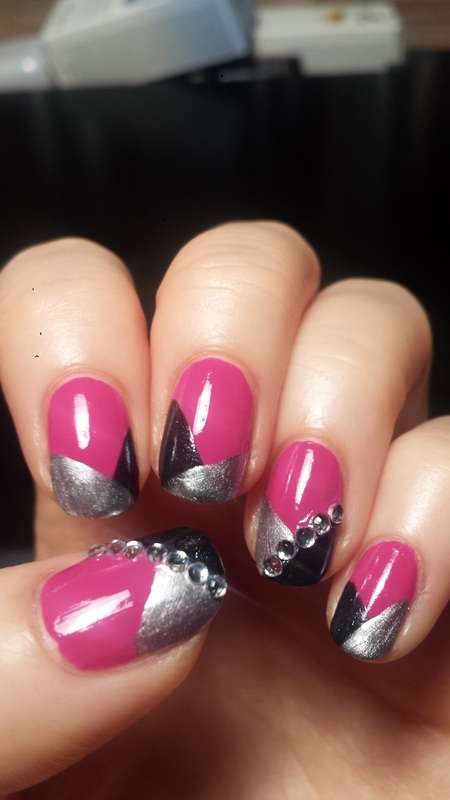 I did them a little random because I did not want all of them to look the same. 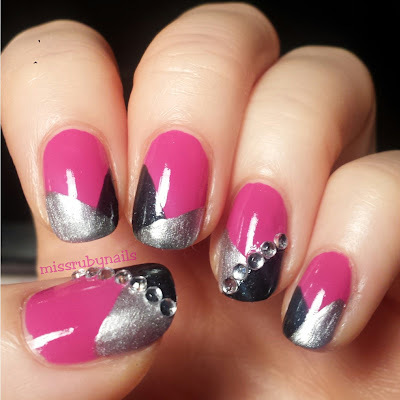 Then I lined the thumb and 4th finger with some silver jewels to finish the look!